The short answer, it is amazing! The main site can be found here, and the source code on GitHub can be found here. If like me, on a daily basis you will have a torrent of email notifications that come through for the different issues/pull requests that you have subscribed to on GitHub. These could be for issues/pull requests that you have raised, and a response is required from you, or simply issues/pull requests that you have a vested interested in following along. Whatever the reason, the amount of notifications is huge, and can be overwhelming. The main problem with both email and web notifications, is that normally once you have looked at them, they are gone, never to be seen again. If you get distracted and move onto something else, it is all to easy to forget what you were looking at. Once you are finished with an issue/pull request you have the option of archiving it, but have no fear, if another notification comes up for that issue/pull request, it will come back into your inbox. It is not a very difficult concept, but the way it is implemented is VERY compelling, and such an improvement on the current notification system in the GitHub UI. Enough already, how to we use it? Firstly, you can use the shared instance at http://octobox.io, however, this is limited in some functionality due to not being able to use shared key. Secondly, you can deploy your own instance to Heroku, which seems like it would be very simple to set up and configure. 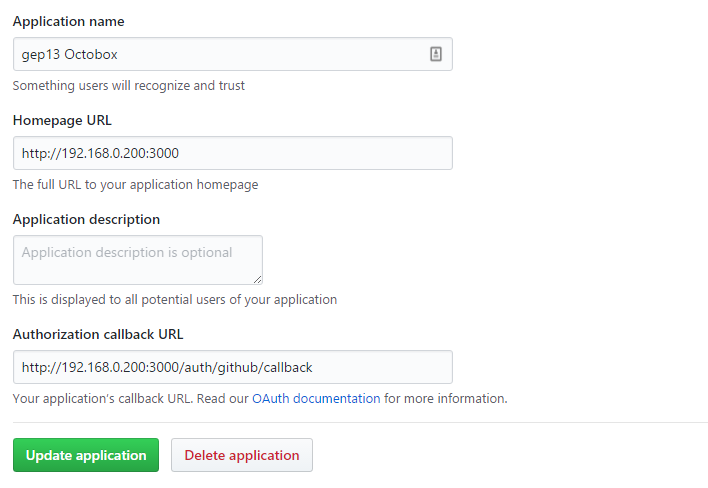 Thirdly, you have the option of running Octobox in Docker. I opted for this option for a couple reasons. I have never really used Docker in anger, and I wanted to see what all the fuss is about. And also I have a reasonably beefy Synology Server that really isn't doing anything, other then running CrashPlan and Plex. So I thought I would take it for a spin. This is a reasonably straight forward process. 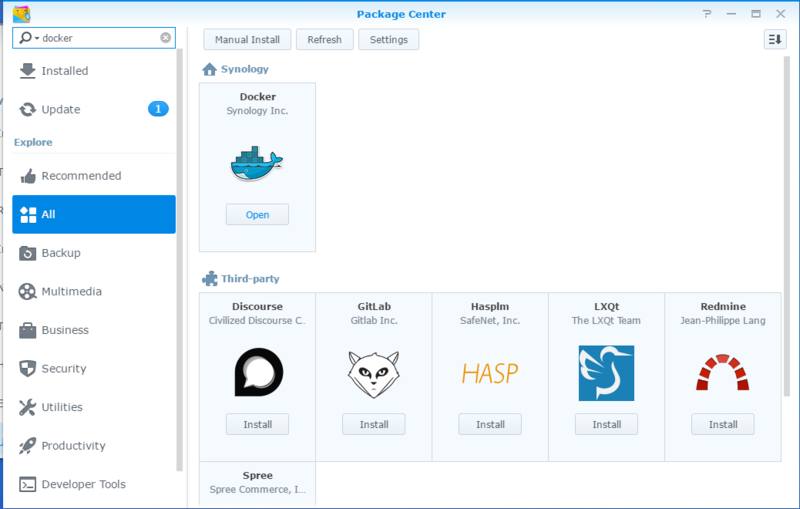 Login to the DSM and select Package Center, and then search from Docker. There should only be one result, with the option to Install. NOTE: The screenshot below shows the Open option simply because it is already installed. 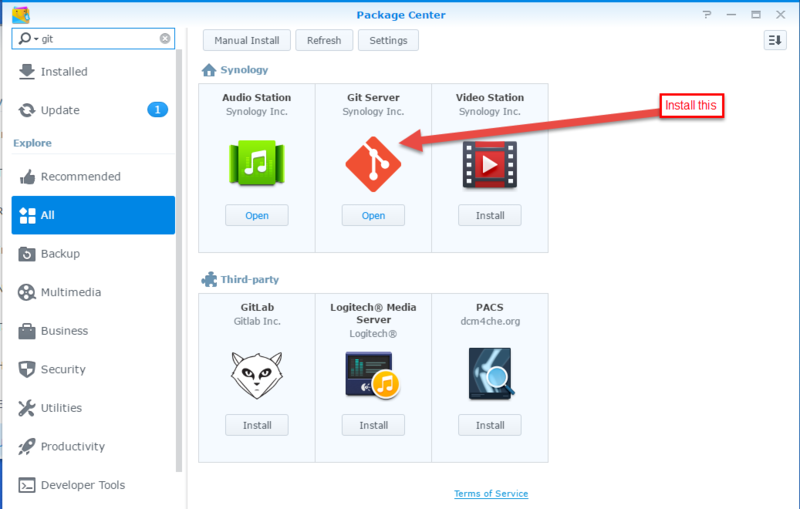 In order to download the latest source code for Octobox, you are going to need to have git installed and running on your Synology Server. 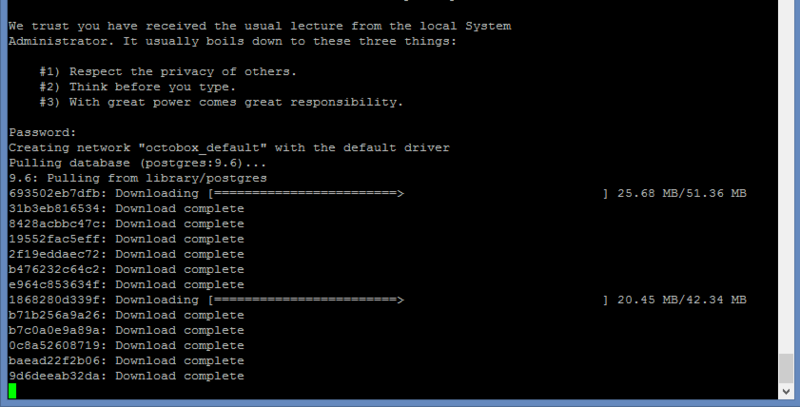 The easiest way to do this is to install the Git Server Package. Once again in the Package Center, search for git, and install the Git Server Package. 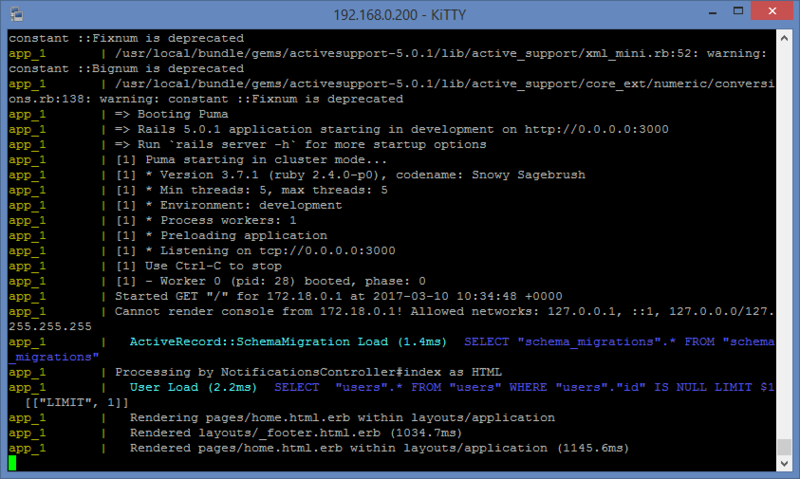 Now, using an SSH Client application (I personally use kitty, which can be installed easily using chocolatey, choco install kitty), connect to the Synology Server. 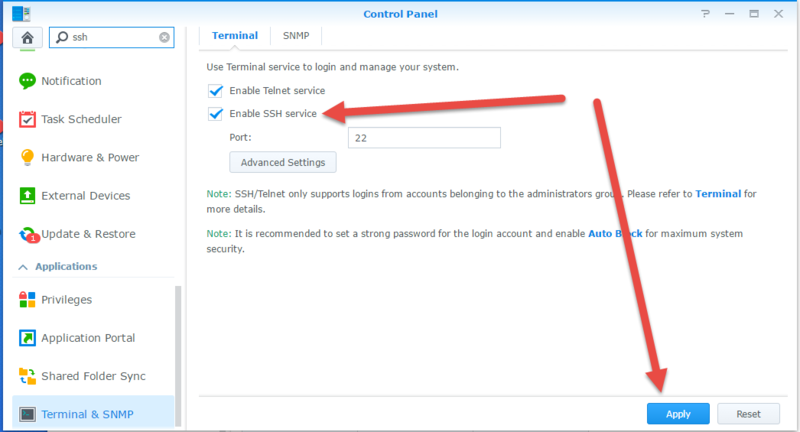 This will require entering in your Synology Server IP address, and the same credentials you use to access the DSM. Take a note of the Client ID and Client Secret that will be generated for the application. And you will be able to login to the application using your standard credentials. NOTE: The important -d switch at the end. This will run the command in the background, and allow you to terminate the kitty session without stopping the containers. 10. And that is that! And that is all there is to it! I have been using Octobox for a couple days now, and I have to say that it is amazing! I have been able to turn off all email notifications now, and I still feel that I am getting all the information that I need, and more. As one point of follow up, rather than typing out the above command, you might want to take a look at this blog post which describes how to use an .env file to store the secure information. Big thanks to Alistair for his help here!